Richard Harlow joined The Philadelphia Orchestra in 1976, becoming fourth chair in 1985. Prior to coming to Philadelphia, he served as assistant principal cello of the Toledo Symphony. He is also a former member of the Dearborn Symphony and the Flint Symphony and has appeared as a chamber music recitalist. 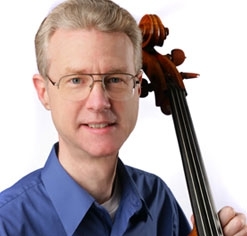 A native of Dearborn, Michigan, Mr. Harlow was born into a musical family and began cello studies at the age of five. While earning a Bachelor of Music degree at the University of Michigan, he studied with Oliver Edel and Samuel Mayes, former principal cello of The Philadelphia Orchestra. Mr. Harlow’s hobbies include African violets and playing the harmonica. He also enjoys being an occasional pre-concert lecturer for The Philadelphia Orchestra’s subscription concerts.